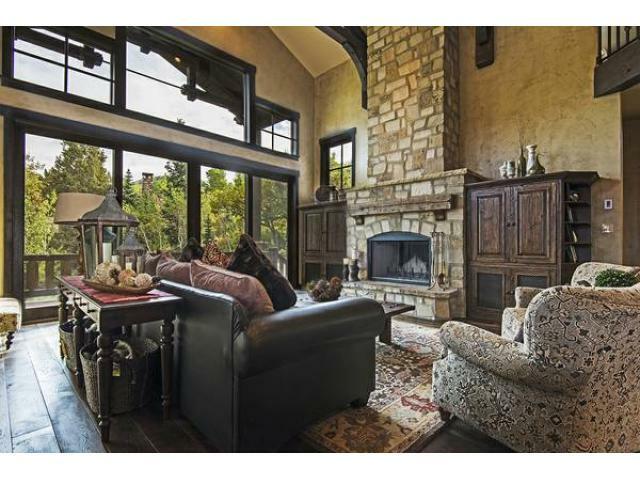 This one of a kind rustic mountain ski home was built in 2012 and is designed in the style of a charming, old world European ski chalet. There is no better family friendly ski rental in Park City. Inspired by Deer Valley's Stein Eriksen Lodge, this rental offers rustic timber beams and ceilings, faux/plaster walls and custom Tyrolean toll painting throughout the house. 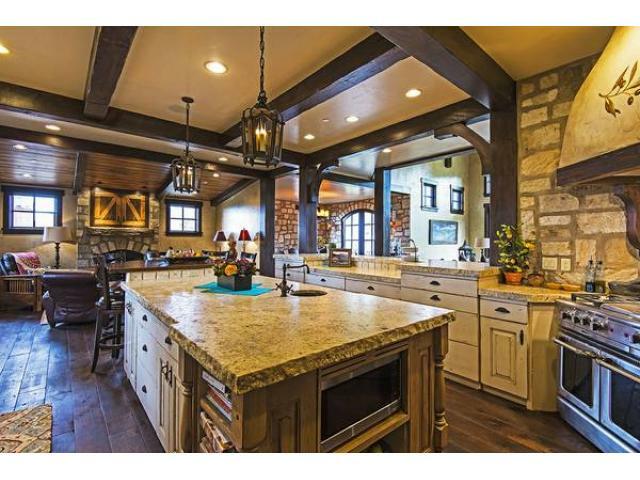 The home is located in the prestigious Timbers development. Our neighborhood offers you true ski in ski out access with close proximity to Highway 224 (Park City’s main road) and Main Street. 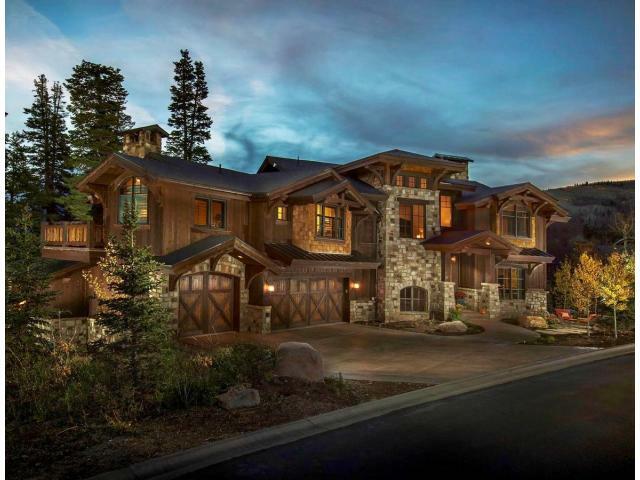 The home is only 3 minutes off of 224 for easy access to shopping, restaurants, etc and within walking distance of the Canyon's Ski Village, yet worlds away, surrounded by tall pines trees and direct ski access out your back door. Old Town Main Street is ten minutes away, the shopping outlets are also ten minutes away. The house measures approximately 8,000 SF with 8 bedrooms. The main floor has a spacious, open feel with a large vaulted ceiling great room. Dining room, kitchen and piano room surround the great room. A quaint hearth fireplace room off the kitchen completes the main floor. Up its own private half flight of stairs the maser suite begins. 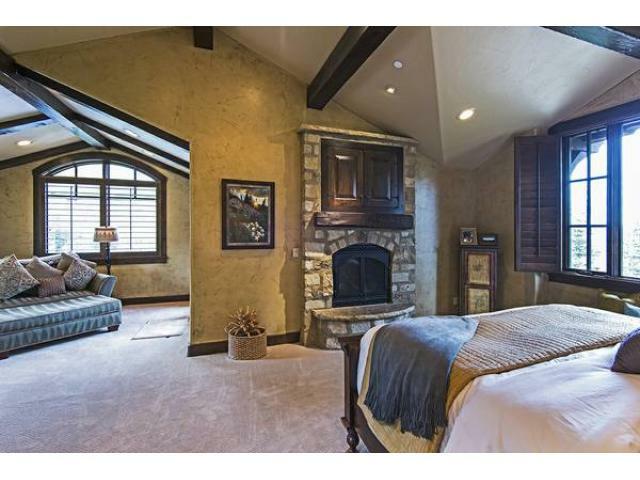 The master suite has a cal King bed, large sitting room and beams throughout the ceiling. The hot tub is off the master suite on a deck overlooking the ski resort, large pine trees and views of the Canyons Gondola and Orange Bubble chairlift. Upstairs are three more bedrooms (two twins, that can convert to a king, a queen and another queen bed). The twin bed room shares a jack and jill bathroom with one of the queen bed rooms (private balcony). The other queen bedroom has its own separate bathroom. Both queen bedrooms have amazing second story views overlooking the Canyons side if the Park City Vail resort and the new Iron Mountain ski runs. Finally, there is a large central loft family area with couches. In the basement is a self contained two bedroom guest suite/apartment with separate direct access from the garage and has its own dedicated ski run access. There is a full kitchen, bath and a washer/dryer. The apt. living room has a gas fireplace and wood floors. The apt. master bedroom has a queen bed and the second bedroom is a Cowboy Old West themed bunk room with a twin bed over a full bunk bed. The apartment can be accessed from inside the house and directly from the garage. The apartment is a fantastic way to allow certain family members to have their own privacy (grandma and grandpa, aunt and uncle, young couple with a baby, etc) while still feeling part of the rest of the group and festivities. In addition to the apartment downstairs, there is a kids art/play room, dedicated theater room with barn doors that open to a large rec room offering foosball, X-Box, and ping pong. The ski room opens directly onto the ski trail. There is no difficult terrain to overcome or stairs to navigate, just straight out the door and you are skiing. The ski room has lockers and a dryer to warm your gloves and hats during lunch or after a day of skiing. Also in the basement are two additional bedrooms, the first with a king bed and second with a queen bed and a twin over twin bunk bed. Those two bedrooms hare a bathroom and are located off of the game room. 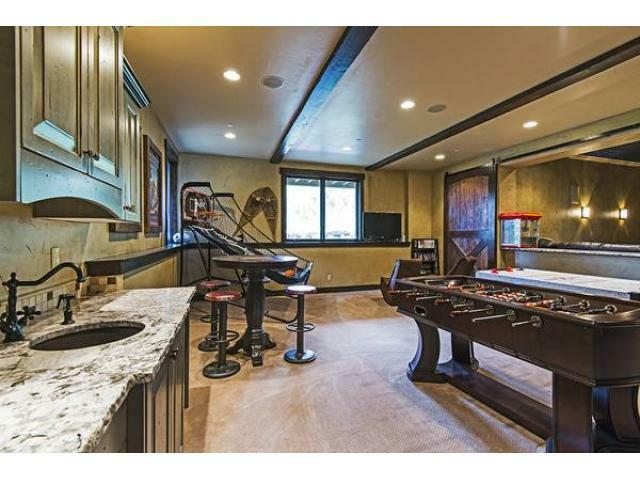 Note, the basement has 10 foot ceilings throughout and natural light with walkout level windows in some bedrooms and the game room and ski room. The rental home can be a kids paradise with secret passageways from ladders in closets that lead to a hidden kids loft. There is also a Snow White Cottage Art room in the basement for children. Including the basement guest apartment there are 8 bedrooms and 5.5 baths. There is one Cal King bed (master), a king sized bed (basement guest) two queen beds (two upstairs), 2 twin beds (upstairs). There are two full kitchens, three dryers and two washers. One wood burning fireplace in the main family living room and three gas fireplaces (Main Kitchen, maser bedroom and apartment guest suite living room). Summer is our favorite season here. Email me for pictures of the yard and property in the summer. Please feel free to email with any questions. I have detailed floor plans I can email you and many, many additional pictures. Zip lines, built in trampolines, large stone patios in the large pine trees and large grass area for kids. If you are looking for the feel of a cozy Bavarian lodge with the best and easiest ski access, this is the perfect house for you.